Tal y como os dije, hoy os traigo el tutorial DIY del jersey que llevaba en el look de ayer, aquí. Como veréis es muy muy simple y en las imágenes de ve muy claro. As I told you, Today here you have the DIY tutorial of the elbow patches of the jumper I wore on yesterday's look, here. It is very easy and on the images the process is very well visualized. 1. Dibujar medio corazón en una cartulina doblada. 3. Fijar la forma foblada a un trozo de fieltro, también doblado, y cortar. 4. Fijar los corazones de fieltro al jersey con alfileres y coser con puntadas pequeñas. 3. Fix the folded shape to a folded piece of felt with pins and cut it. 4. 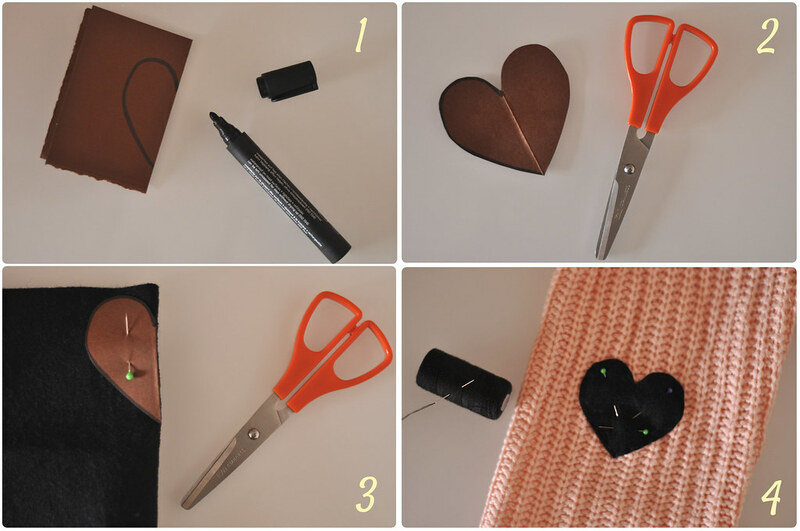 Fix the felt hearts with pins to the jumper and sew it with small stitches. 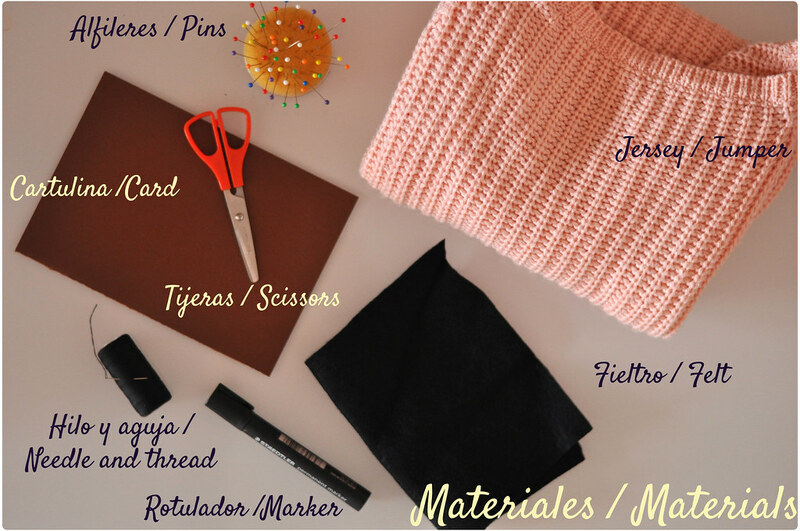 El look me encanta y el DIY me lo guardo por si encuentro algún jersey bonito al cual hacerle algo similar :) Hoy estamos todas con los DIY, yo he publicado uno también! jajajaja. ohhhhhhh!!! me acaba de enamorar esa idea!! que buena!!! me gusta muchooooo!!!!!! Wow very nice ! I like it ! Como me gusta!! Ademas es un DIY ideal porque no me parece nada complicado. awesome DIY, the hearts are a unique and adorable touch to a sweater! Oh what a cute idea!! I love your sweater and the hearts match perfectly! Great combination with the leather skirt!! Gorgeous! I love elbow patches. These look so great. this is so gorgeous! i adore your sweater. such a cute idea. would you like to follow each other via bloglovin and gfc? I will be very happy if you also check out my blog :) Have a nice weekend! Qué monada, me encanta!!! Un besito gordo y feliz Sábado! pero qué monada!!! te ha quedado ideal! Súper original! me encanta como queda! Fantastico el post. Soy muy fan de tu blog bella!